A new report from the World Meteorological Organization itemizes the destruction currently being caused by climate change. At the top of the destruction caused in recent decades is flooding. As this chart below shows, the destructiveness caused by floods (indicated in blue) is increasing. 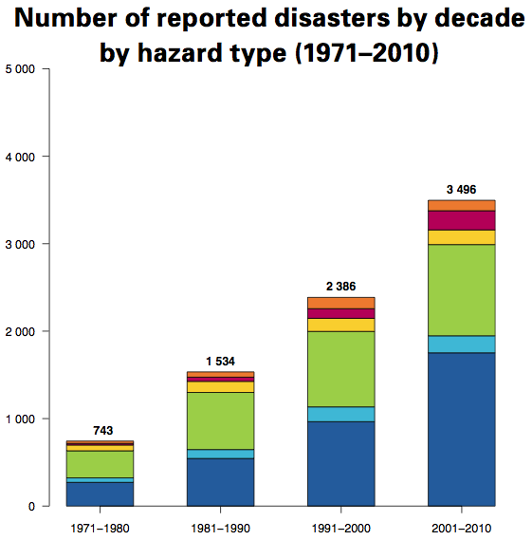 Indeed, floods constitute 89% of reported disasters. And this is not just economic damage. 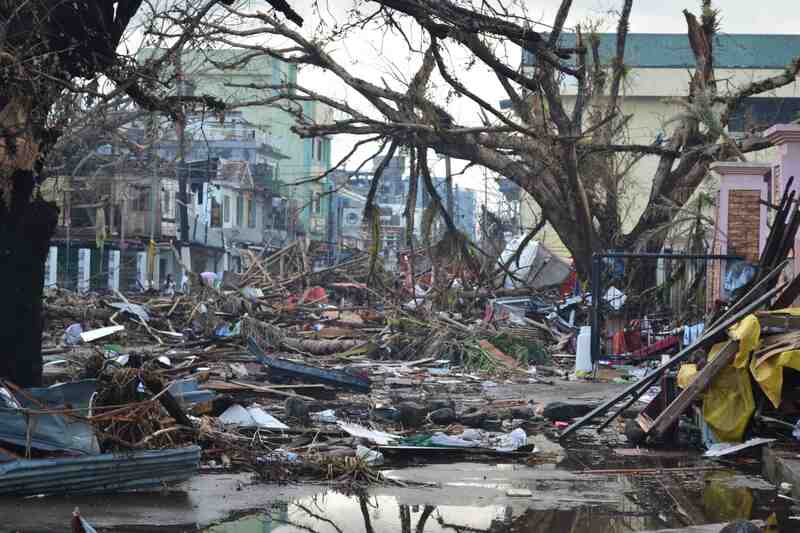 Storms are responsible for 1.45 million of the 1.94m global disaster deaths. An excellent article in the Guardian summarizes many of the key findings in the WMO report.